With the World Cup about to start in less than 24 hours, some big news has hit America even as our own national team will not be competing in this year’s global event. Fast forward eight years, and for the first time in FIFA history, three nations (United States, Canada and Mexico) will be the host of the upcoming 2026 World Cup. 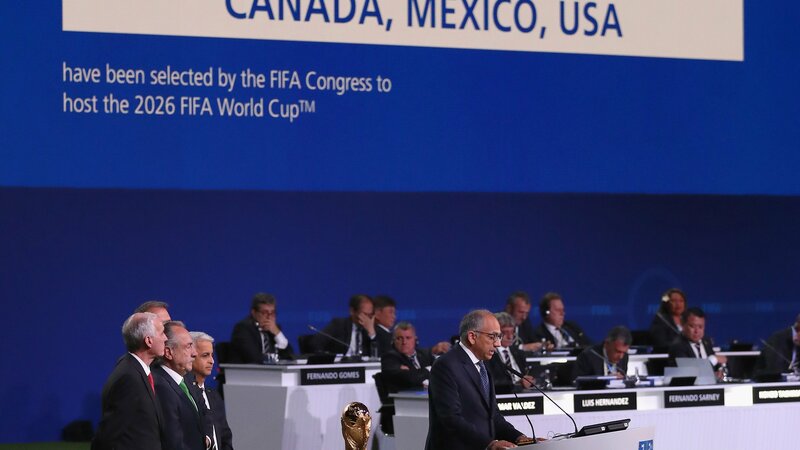 The vote by 200 national soccer federations for FIFA’s annual Congress came earlier today in Russia, as North America defeated Morocco for the bid. During the tournament in 2026, the field will expand to 48 teams instead of the usual 32. 60 of the 80 games will be played in the U.S., including everything from the quarterfinals forward. Canada and Mexico will host 10 games each, with the final to be hosted at MetLife Stadium in East Rutherford, New Jersey. America has not hosted a World Cup since 1994. The bid today should give the United States a big incentive to step their game up for the future and make sure the national team competes in the next World Cup and beyond. This year, the team failed to make the cut for the tournament, which significantly stalled the development of the young talent currently on the squad.